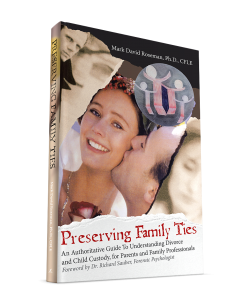 This book explains divorce, its complications, and opportunities for parents and professionals so together they can achieve outcomes that are more effective when parents choose to separate. Text available for classroom adoptions. Contact WestBow Customer Service (866-928-1240 ext # 8125) for assistance. Want to learn more about shared parenting challenges? Join the Author Mailing List! Copyright © 2018. Mark David Roseman, Ph.D., CFLE. All rights reserved.